PetLifeEliteR NitroBacteriaPTM is a Gram-positive bacterium, rod-shaped and catalase-positive. 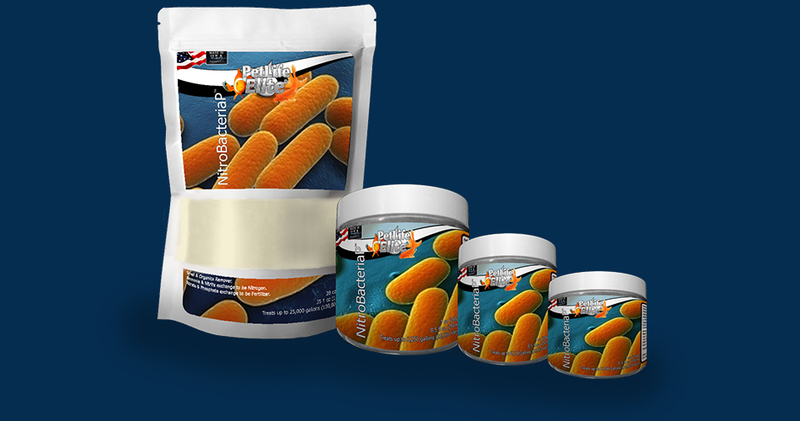 PetLifeEliteR NitroBacteriaPTM is in the form of spores can be stored for long time. PetLifeEliteR NitroBacteriaPTM will be awake up and reproductive when got water and oxygen. 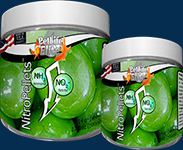 PetLifeEliteR NitroBacteriaPTM can be eaten ammonia, ammonium, nitrites and hydrogen sulphide at a glance. PetLifeEliteR NitroBacteriaPTM is very light weight. If you do not like floating form we recommend you use PetLifeEliteR NitroBacteriaTM is liquid form or PetLifeEliteR NitroBacteriaTabsTM is tablet form. Add 1 spoon (included) per 500 liters directly to filter tank daily for first week. Best results use coupled with the air pump. Add 1 spoon (included) per 1500 liters directly to filter tank once a week. 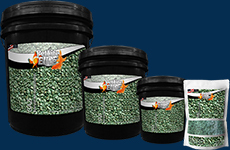 Best results use coupled with PetLifeEliteR NitroPelletsTM.